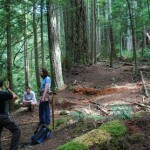 The Wilson Creek Forest lies within the Proposed Mt. Elphinstone Park Expansion boundary – please also see the Status Update section within the Park Expansion Campaign for the latest information. 86% of the watershed has been logged. 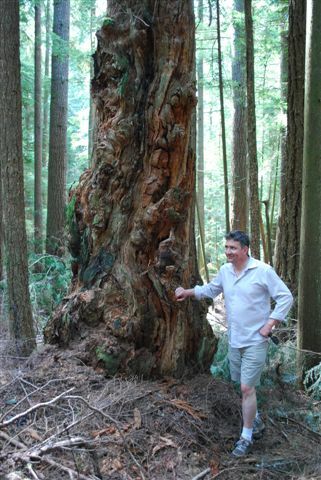 Only 4% of the original old-growth (250 yrs + ) remains. 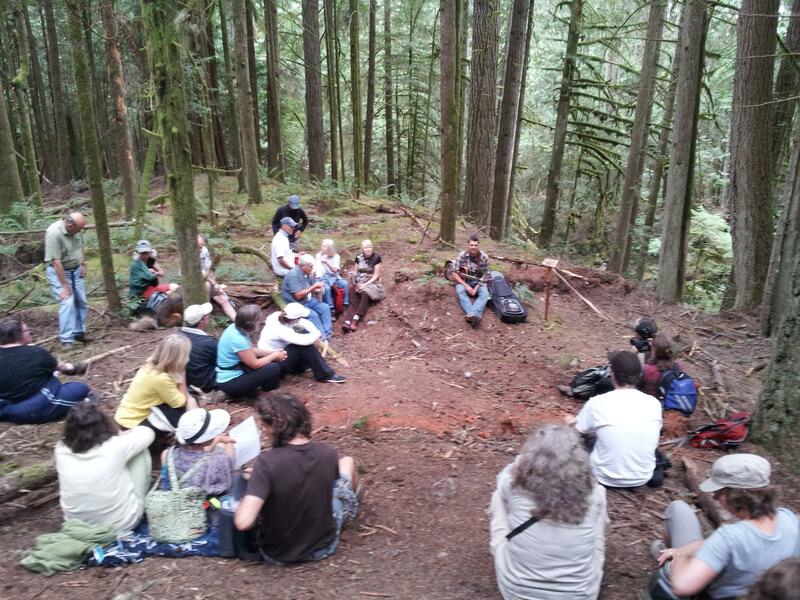 Only 10% of older forests (120-140 yrs) remain – that being Age Class 7. 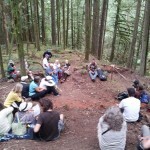 If EW002 (the Wilson creek Forest) is allowed to be logged then the percentage of Age Class 7 will drop. 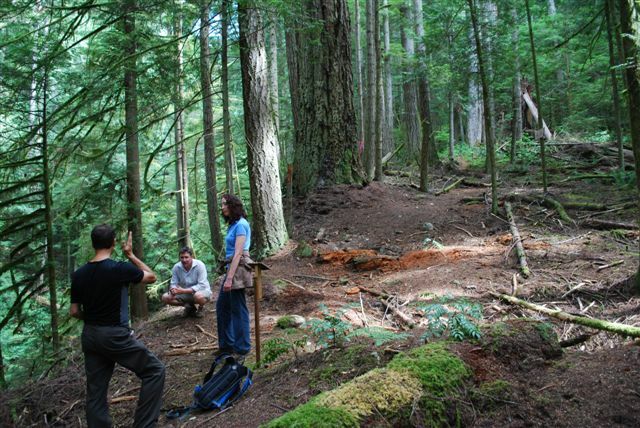 Elphinstone Logging Focus (ELF) continues to have concerns that Sunshine Coast Community Forests’ (SCCF) is not addressing the real threats to the Wilson Creek Forest and its watershed. 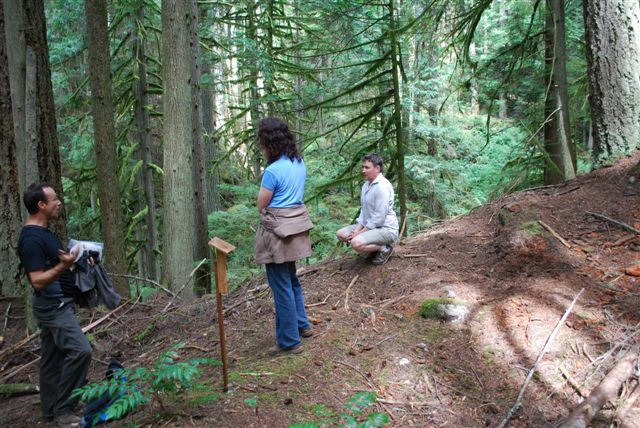 Their proposed EW002 cutblock is one of the last, large pieces of intact forest in the entire 2,207Ha watershed. 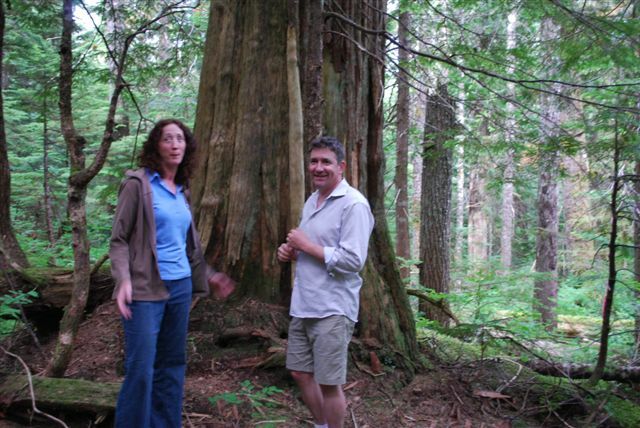 Back in May 2011 SCCF placed the cutblock on deferral due to mounting public concerns, which led SCCF to contract a team of consultants to look at the conditions of the whole watershed and whether not the last bits of forests could be logged without further to damage to fisheries. “The recently published ‘Wilson Creek Watershed Assessment’ has several shortcomings.” Ross Muirhead of ELF says. 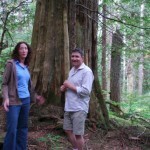 “The focus of the study was meant to determine the impacts of past and future logging has had on downstream fisheries. 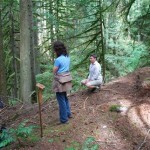 Several critical points were not looked at, including: water temperature changes affecting salmon, fine sediment data compiled by local Streamkeepers, historic peak flows were taken from the Roberts Creek water station and then compared to Wilson Creek system even though each has different forest cover regimes. 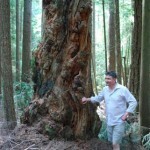 Date: August 7, 2012, Nicholas Simons, MLA, Powell River/ Sunshine Coast visits Roberts Creek, the Wilson Creek Forest and the RC Headwaters Ancient Forest (see separate Campaign) and expresses his concerns for protecting both of these forest for their multiple long-term values for the community. See Pictures below (click to enlarge). 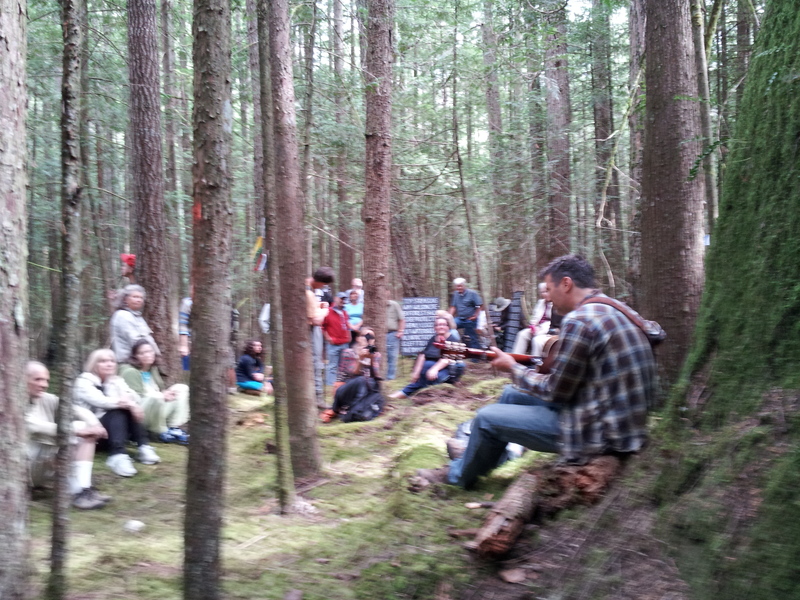 Take Action: This Forest Is Threatened. Without your help this forest will be logged. 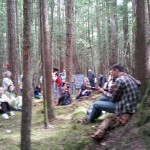 It is not too late to make your voice heard to save this forest. Follow the `Get Involved` tab and then `Take Action` tab to write an email – Everything is there to make it easy for you. It will only take 3 minutes!